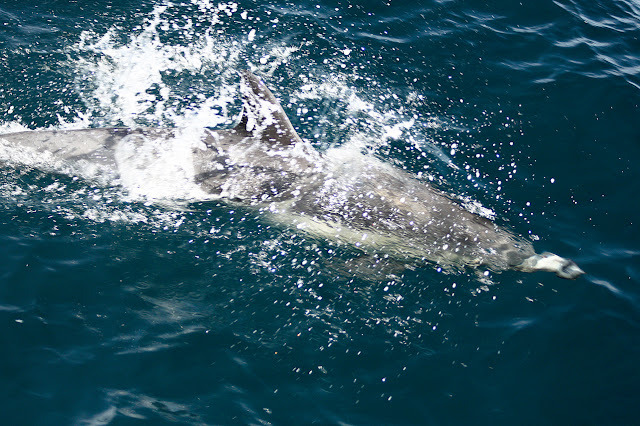 This was one of the 600-700 "Common Dolphins" I saw out on a boat last week. It was really amazing to see so many of them, and how they liked to swim along with the boat. As a bonus to my color entry, here is a video I took of them swimming along. P.S. If you're following closely the original list of colors, you may notice I skipped blue gray. We've discovered it's very difficult to find the right photo without being able to actually draw something with the crayon, and blue gray is one of the colors that Crayola retired awhile back. We will be updating the list with the replacement colors, final selections TBD. P.P.S. Molly has joined in the fun of the photo challenge, check out her blog postings here.